Independence Day Is Next Week Are You Ready to Show Your Patriotism? Independence Day isn’t just a movie, and a good sci-fi thriller it was, it’s a national holiday celebrating what? 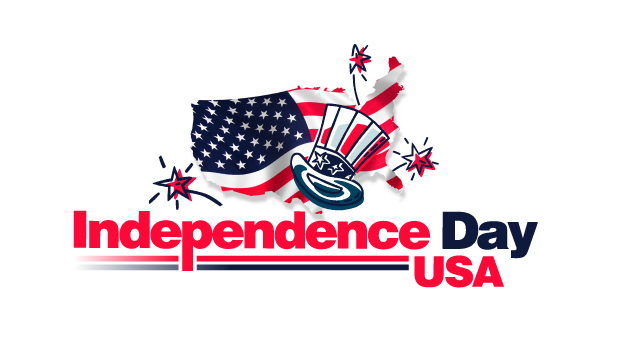 It celebrates the Declaration of Independence, adopted on July 4, 1776. The Thirteen Colonies of America declared themselves to be states and no longer part of the British Empire, though the revolutionary war continued for some time after. 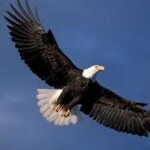 (We will visit the who, what, when, where, and why of The 4th of July later this week.) 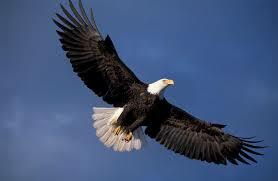 Many people show their Patriotism during this day and we at AMERiders are no exception. We want to help you show your patriotism with a few pieces of gear we have available. Next, to a helmet and boots, a bikers vest is important, it is a billboard to where he has been and who he is. 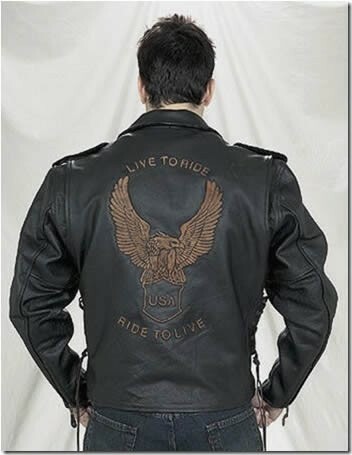 At AMERiders we understand this and want to help hold to that tradition with our large collection of Motorcycle Vests. We have many styles and types of vests from leather to denim and if you need a bit of help with concealment we have some Concealed Carry vests as well. Regardless of whether you want your vest to come with patches already in place or plain to add your own, we have the vest to fit your style. We even have vests that come ready to wear with the Live To Ride® brand embroidered cloth patch already sewn in place. On Independence Day show off your patriotism with our Patriotic vests like these…. 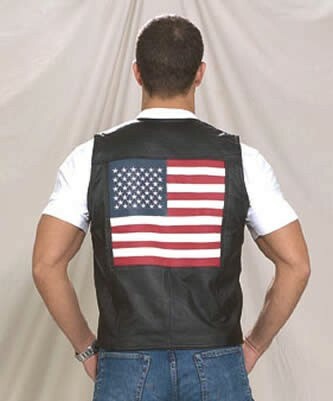 Our Men’s Leather Vest With USA Flag is made from top grade genuine leather, the way it should be. The vest includes multiple pockets, the interior is lined for the most comfort. Snap it on with the 4 snaps in the front for the easiest in opening and closing. You will be surprised to find out how many pockets there are. 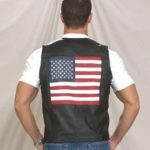 Leather, asphalt and the freedom on the road; the things that makeup both this vest as well as this country.Support your country. Ride with America on your back. 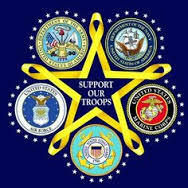 Don’t just say you support this great country of The United States of America, show that you support it. Our Rock Design Genuine Buffalo Leather Concealed Carry Vest with Patches has the features that you’re looking for in a stylish vest you will love. Do you believe in your right to carry? Most people do! There is that problem of how to carry it when you’re on your bike though unless you’re on a big touring bike. Well here is the solution.Besides having chrome plated genuine brass buffalo snaps, side laces and 2 interior gun pockets with 1 interchangeable holster. It also includes patches and who doesn’t love patches! 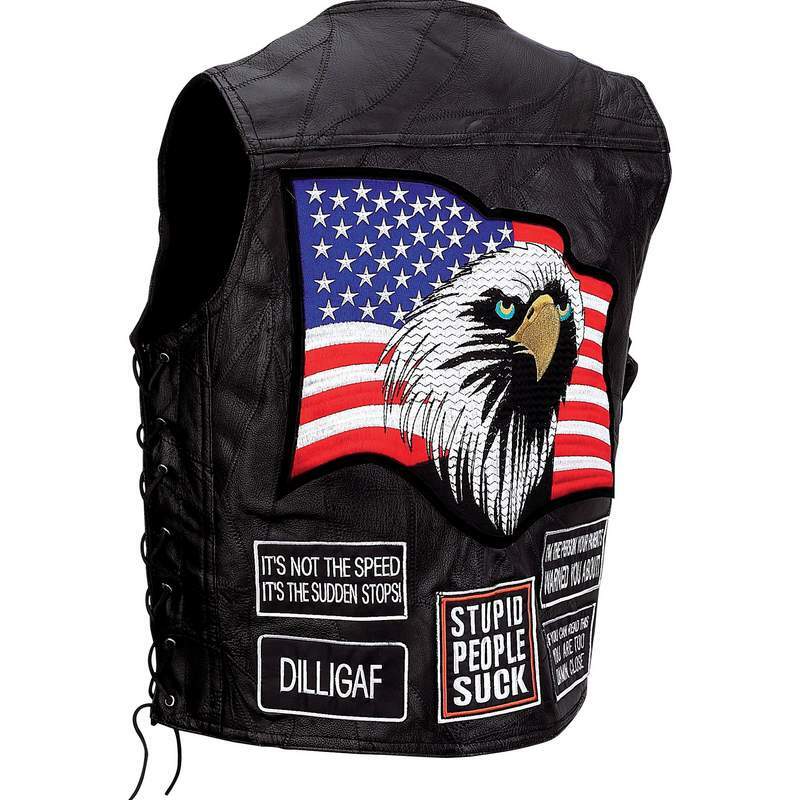 Show your Patriotism with the extra Large Eagle Patch on the Back of this gorgeous vest. 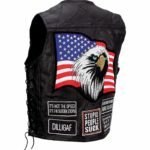 The patches included are Extra Large Eagle Flag; BIKERS AGAINST DUMB DRIVERS; I’M THE PERSON YOUR PARENTS WARNED YOU ABOUT! ; All I want is a little more than I’ll ever get! ; IT’S NOT THE SPEED, IT’S THE SUDDEN STOPS! … just to name a few and there are more. There is the ever popular Live To Ride® brand embroidered cloth patches are included and already sewn in place as are the other patches. 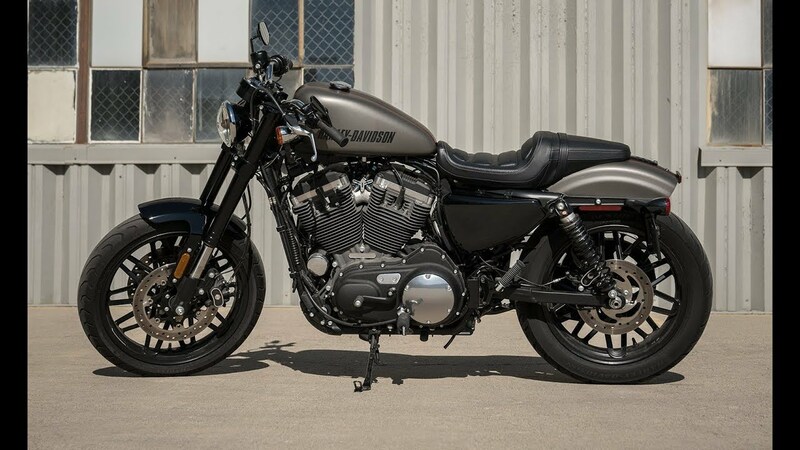 Customize your ride with quality motorcycle accessories that any biker would appreciate. 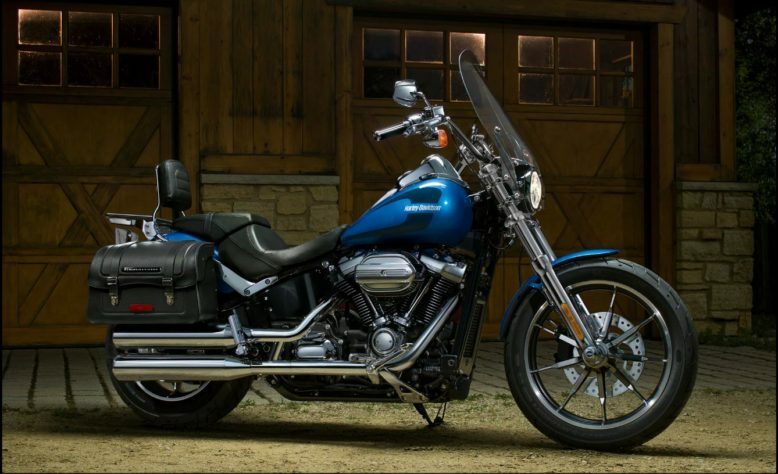 AMERiders gives bikers a variety of motorcycle luggage, bags, and other accessories to add some style to your bike. 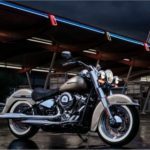 Our sissy bar bags, windshield bags, swing arm bags, and saddlebags are excellent additions to any bike to increase carrying capacity. 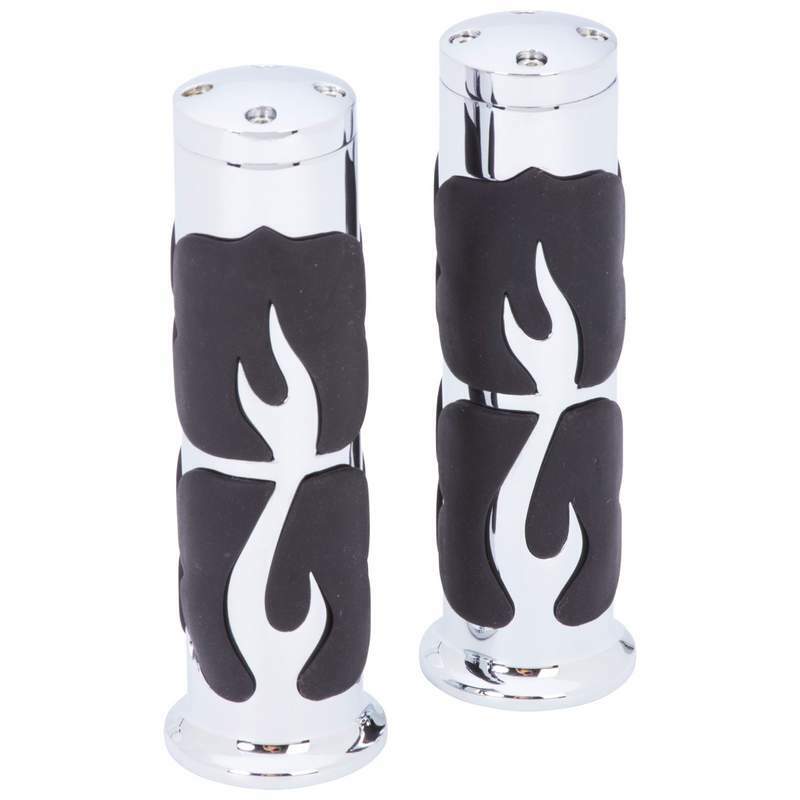 We also have other essential accessories for a truly customized ride such as good luck motorcycle bells, cup holders, mirrors, flags, tank covers, and much more. What is more Patriotic than riding around with a Flag on your bike? 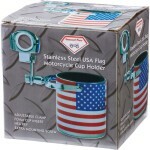 Let your patriotism for our nation show on the road with our USA flag and motorcycle flagpole mount. 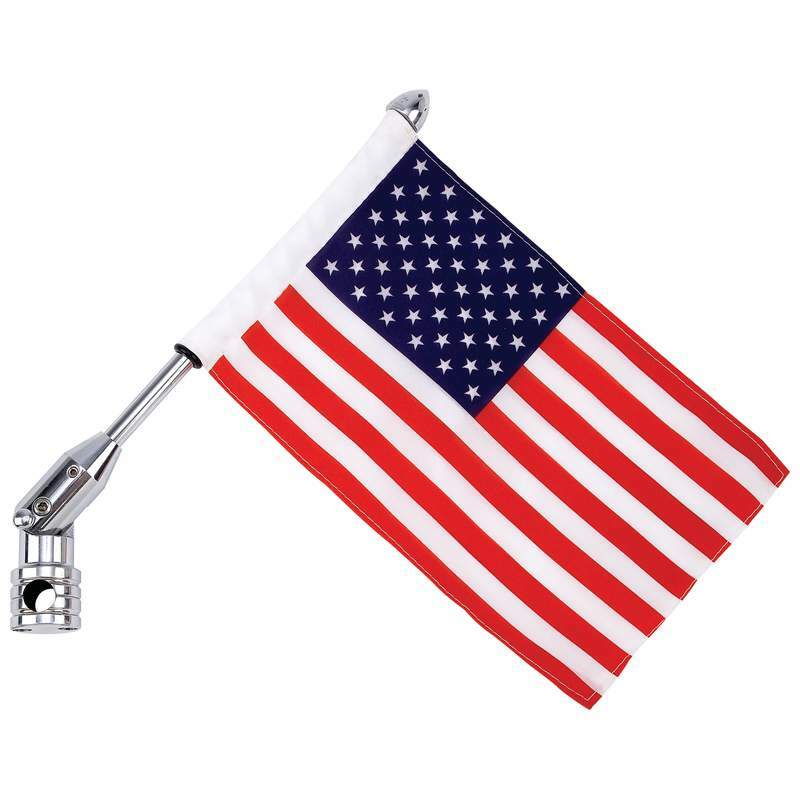 It Features a 100% 2-ply polyester flag and chrome-plated steel pole. The Adjustable mounting bracket fits most motorcycles. The Flag measures 6″ x 9″ and its Pole measures 13″The Limited lifetime warranty is on the pole only. What better way to ride and carry the flag on Independence day than this? 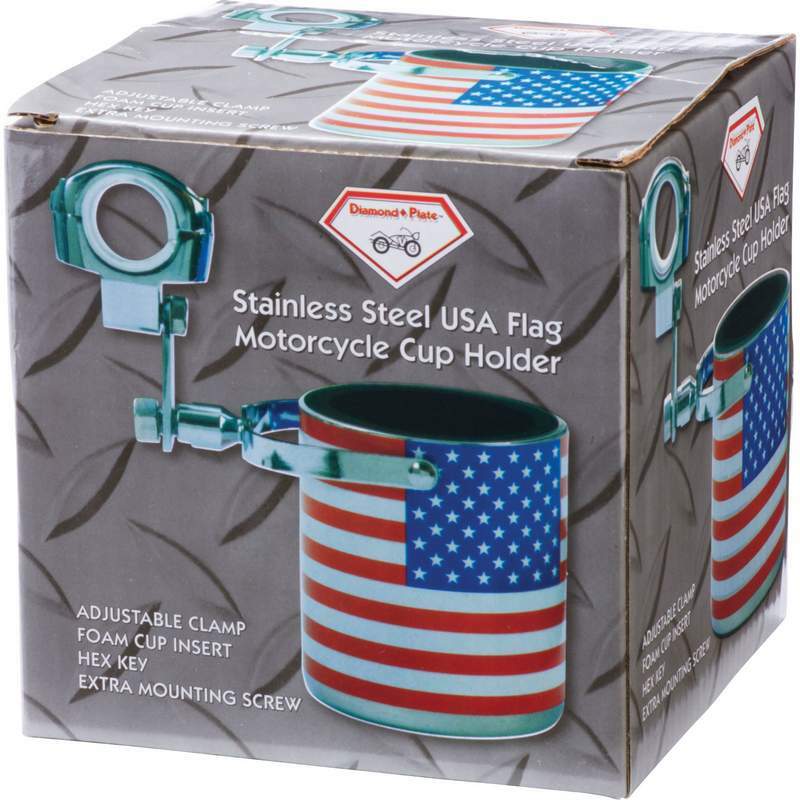 On Independence, Day Riders need to stay hydrated just as much as anyone else does, and with our Stainless Steel USA Flag Motorcycle Cup Holder, they can do just that. Features adjustable clamp to easily attach to motorcycle or bike, foam cup insert and hex key wrench plus extra screw. 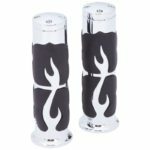 Fits both 1″ and 1-1/4″ handlebars. 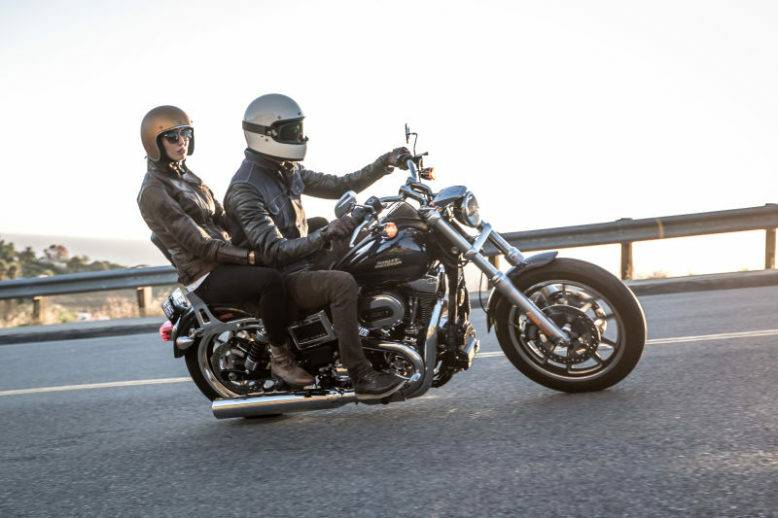 Make a bold statement, and keep your dome warm on the open road with AMERiders’ selection of motorcycle headwear, including stylish and functional options for every biker. Boasting designs that will show off your style and get you noticed in a crowd. 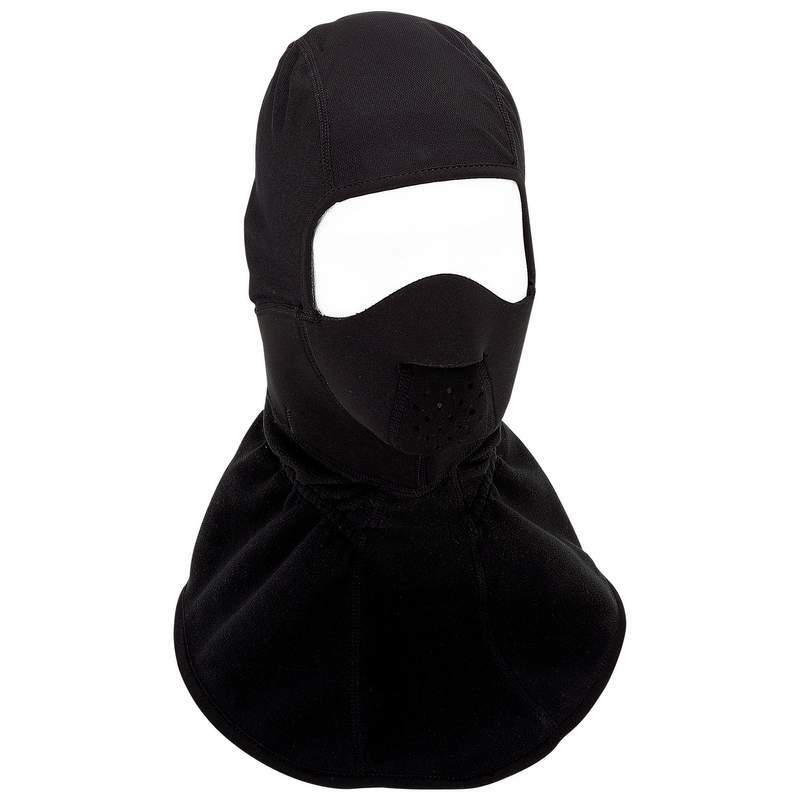 Our balaclavas and motorcycle face masks for men and women are not only good for providing warmth in cold weather, they will also add a layer of unique style to your biker apparel. You can also find a selection of doo rags to keep your doo looking good and in place with a variety of colors and designs to appeal to your tastes. On Independence Day we have a few of these items that can help you show your patriotism in style. It is designed to sit securely on the head using the attached ties, allowing one size to fit all. Flydannas are great under a helmet as a moisture barrier as they help to isolate grease and sweat from helmet liners. 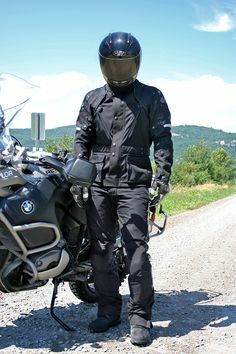 Even if you don’t ride a motorcycle, these coverings can be used to keep the sweat and hair out of your eyes. Even chefs, doctors, nurses, and athletes sporting these do-rag sweet accessories. 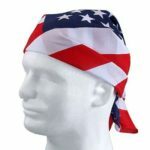 Why not wear this Doo-Rag on Independence Day to show your American patriotism. This Doo-Rag tells the world: You love your country! Our USA Flag Cotton Bandana is a 3-IN-1 Headband system from ZANheadgear®. 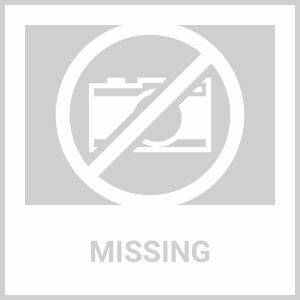 This 3-IN-1 Headband system is a prewashed 100% cotton bandanna with an adjustable Velcro closure. Comfortable and easy to use and wear.Wear it as a headband, neckerchief or skullcap to protect against elements. Wear it however you desire. 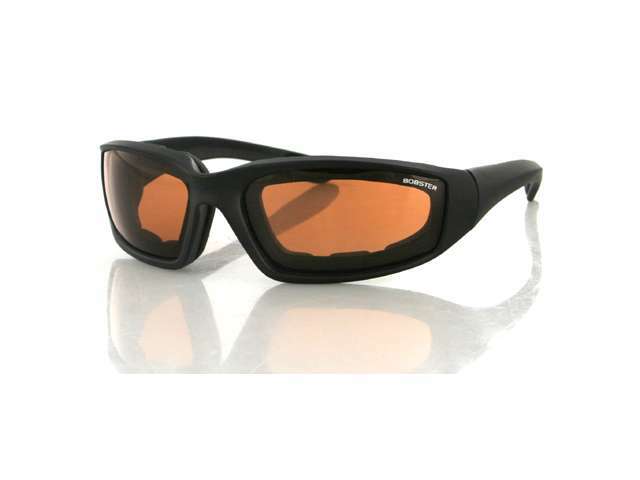 This is an ideal accessory for motocross riders, snowboarders, motorcycle enthusiasts, and construction workers alike. Plus it is the perfect accessory to wear on Independence Day. Well there is plenty more items that we at AMERiders have for you to wear on Independance Day next week just hop on over and take a look and find the perfect item to express your patriotism. Let AMERiders help you celebrate Independence Day and Show your Patriotism with our large selection of Motorcycle Gear and Apparel. AMERiders brings you the Continuation of Motorcycle Helmets Designs and the Super-Specialized Reasoning Behind Them, with Defining Motorcycle Helmet Standards and an explanation of DOT & SNELL certifications. Let’s go back over a bit of what we said in our last post and then continue on. Between the two helmets, besides the cool Motorcycle helmet designs and sweet race car helmet designs are other things as well. It’s more than just what happens when you bonk your head, it’s also about fire protection. Racing helmets have fire protection, not all full-face helmets that you see are racing helmets. 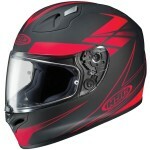 Ameriders has both Racing and full-faced helmets in stock. The Auto helmets’ fire-resistant Nomex liner is not existent in motorcycle helmets because a rider leaves the bike conscious or not. However, getting out of a racecar is totally different in a crash. The safety system is designed to protect the driver from harm. A caged race car driver takes an extra 15 seconds longer to get out of the car than it does to fly off of a motorcycle. That is 15 seconds of fire protection that could save the drivers life that a motorcycle driver doesn’t have I call that a win. Department of Transportation or DOT Is a US government approved standard which is the most popular helmet type in the country for most everyone except for race car drivers. DOT helmets differ from Snell as they are more shock absorbent and designed at protecting your skull from 90% of impact types. The maximum g-force allowed by the DOT test is 250g’s, and an impact of 200-250g’s to your head would cause a survivable, yet harsh brain injury. These helmets also are favorite shock absorbency because of recent studies claiming that absorbing the force of an impact could be more important than resisting it. Defining Motorcycle Helmet Standards is difficult so DOT and SNELL have different ways of doing things, and as we said in our last post Motorcycle Helmets do trump Race Car Helmets in visibility as they have at least a 210-degree lateral vision to a race car helmet 180 degrees. As Motorcycle riders crouch, sit upright, look both ways and look back, so needing a bigger visor is important so they can see in all positions. When strapped into a Race car’s racing seat and its harness, you’ll be thrilled to have side view mirrors as you can hardly move your head. You can only turn it a few degrees in any direction, so the extra visor space would be a real waste. “The ‘low-velocity’ tests came about because of concern at FIA and elsewhere that helmets built to withstand very severe impacts might also transmit high levels of shock in less serious impacts,” says Becker. “So we were urged to include some low-velocity impact tests.” (The FIA is an International Motorsports Governing Body). Snell updates its rules regularly and they are due some new ones so there is some new testing to go along with this as well. Testing diversified as we said to go along with this. They added new tests to go along with their current ones such as the “Low Velocity” impact testing, and “Low Lateral” impacts at the intersection of the head forms reference and the transverse planes. You might wonder exactly what tests Both DOT and SNELL do well we did a bit of digging and found out for you. 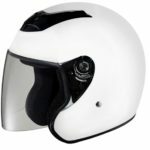 In order for a motorcycle helmet to be DOT certified, it must conform to a few minimum requirements, and be able to pass a series of impact tests. 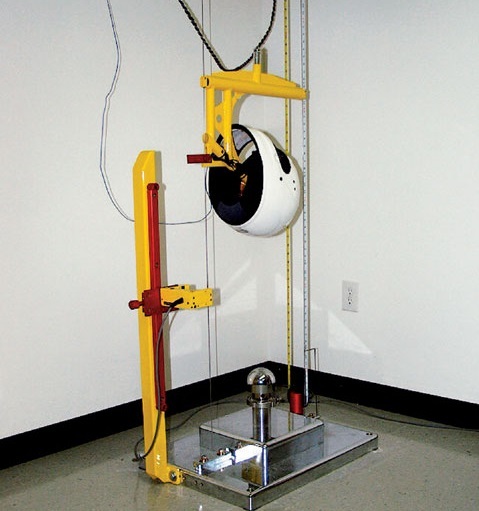 The impact tests are administered by placing a head form (basically a dummy head equipped with measuring instruments) inside it to measure speed and g-forces as the helmet is dropped onto different surfaces from a pre-determined height. Based on the energy that gets transmitted to the head, the helmet is given a grade of pass or fail. Tests are done twice, to make sure the helmet can withstand multiple impacts in one crash. Other tests are also done, such as a penetration test to make sure the head isn’t impacted, and the retention system is also tested to make sure the helmet doesn’t slide off in an accident. 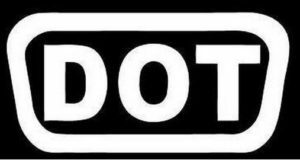 The DOT standard is sometimes criticized because it works on the honor system; manufacturers declare a helmet to conform to DOT standards themselves and label it accordingly. 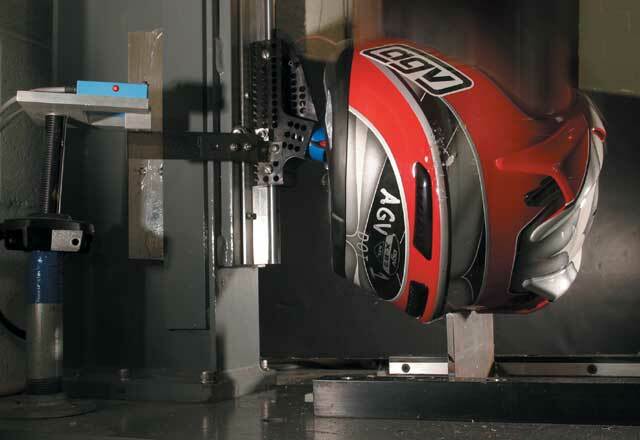 Only when the helmet is tested might it lose its certification, and it might already be on the market when it does. 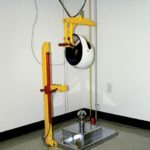 However, the penalties for building a failing helmet are very high – up to $5000 per helmet – so there is a strong incentive for manufacturers to do their own testing before helmets are released, which they typically do. The visor is also tested, by shooting it with three lead pellets from an air rifle. How Much Does Certification Matter In The Real World? 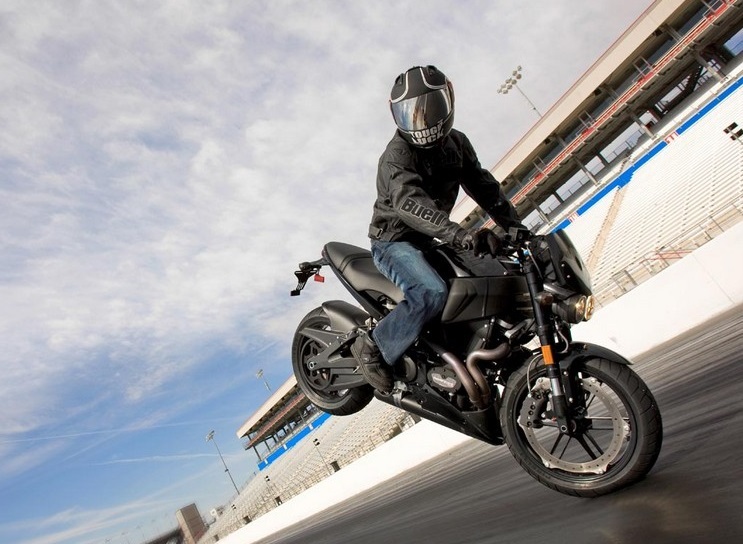 Testing in Defining Motorcycle Helmet Standards is valuable, no doubt. However, for the sake of fairness, lab tests take place in a controlled environment and are very consistent and precise as accidents in the real world are chaotic and unpredictable. So a given helmet could perform exceptionally well in lab tests, however, but fall behind others in a real world, post-crash damage assessment. 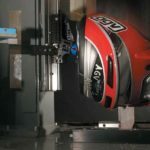 The reverse could also be true; helmets with a great reputation among riders could be outperformed by others in the testing environment, especially if helmet manufacturers make a point of building to the standard. In Closing- Which standard should I choose. This is actually a much debated and even a hotly debated question. While we at AMERiders can’t tell you definitively which one you should go with, we can tell you about what goes into each and to discuss the pros and cons of all of them, so you can make your own decision about which one is best for you. Remember, no matter what kind of helmet you buy, wearing one is infinitely better than not, if a fall happens on a ride. We urge you to always wear a helmet every time you throw a leg over a bike! Let AMERiders help you find a DOT or SNELL helmet as we know that Defining Motorcycle Helmet Standards is important. 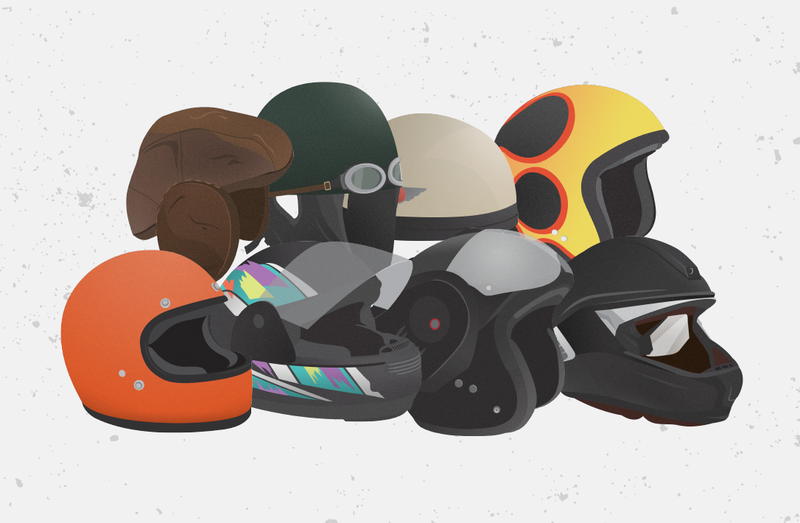 Motorcycle Helmets Designs and the Super-Specialized Reasoning Behind Them. Ameriders wants to ensure your noggin is safe, which is why we are bringing you Motorcycle Helmets Designs and the Super-Specialized Reasoning Behind Them, as well as many DOT and SNELL helmets in our store. The head has been smacked, slashed, smacked, cracked, set on fire and well whipped around like Skip-It and still survived. Our beloved motorcycles bounce our skulls off pavement without the slightest consideration for riders who think they that their heads will hold up to a fall. Racecars are unforgiving as well, as they will use your head as a pinball with the steel roll cage and harness as the paddles. Both helmets have evolved over the years since they were just leather caps. There only purpose was to help keep your ears intact as the wind rushed past while riding, or racing. They have also been diverging, becoming ever dedicated, and increasingly in their tasks. Their shells and visors to both motorcycle and auto racing helmets are similarly in two very specialized ways to armor up. 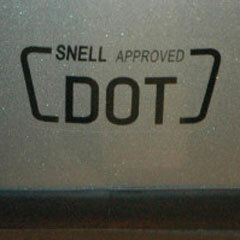 This would be Snell Certifications and DOT -Department of Transportation Certification. Snell Memorial Foundation, who is the voice of authority in all this is and is a nonprofit group of engineers, scientists, and physicians, who created a new safety standard for auto racing and motorcycle helmets every five years. Fresh rules are due out this year. Snell handles both Motorcycle and Racecar Helmets, very few motorcycle or racecar helmets are just one or the other most are both. 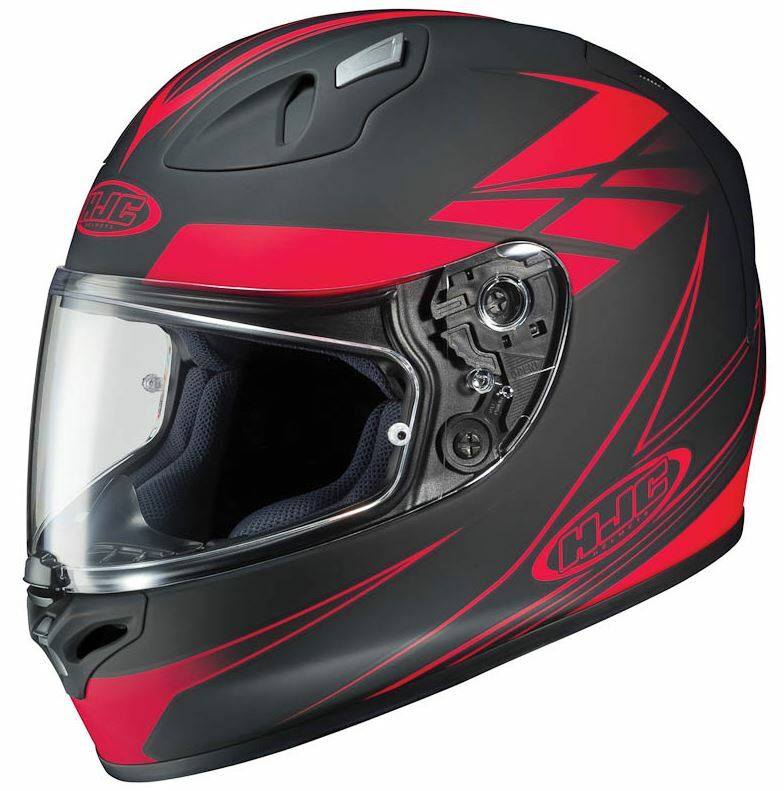 Snell Certifications are voluntary by the manufacturer and most North American Racing Series require Snell Rated as well as Full-faced Motorcycle helmets. 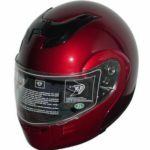 Motorcycle helmets that are usually both don’t sell as well unless they are full all-over Motorcycle Helmet Designs that draw the riders attention to buy it. Here is what Ed Becker, Snell’s executive director had to say about impact protection of the two helmets. “I doubt whether there’s any real difference in impact protection between Snell M2015 [for motorcycles] and SA2015 [for cars] helmets.” Either way, a motorcycle helmet is not safe to race and a racing helmet is not safe to ride in. Between the two helmets besides the cool Motorcycle helmet designs and sweet racecar helmet designs are other things as well. It’s more than just what happens when you bonk your head, it is also about fire protection. 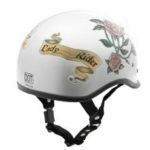 Racing helmets have fire protection, don’t think all full-face helmets that you see are racing helmets they aren’t Ameriders has both Racing and full-faced helmets in stock. 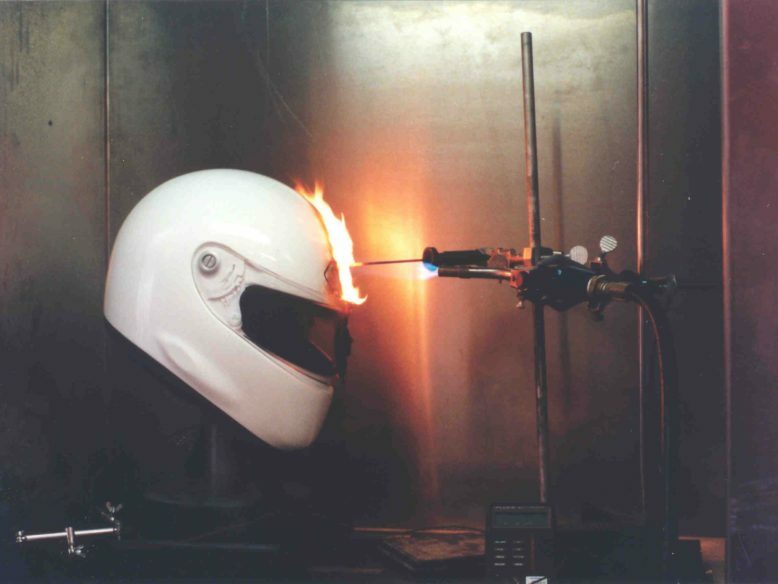 The Auto helmets’ fire-resistant Nomex liner is not existent in motorcycle helmets because a rider leaves the bike conscious or not. However, getting out of a racecar is totally different in a crash. The safety system is designed to protect the driver from harm and a caged race car driver takes an extra 15 seconds longer to get out of the car than it does to fly out of a motorcycle. That is 15 seconds of fire protection that could save the drivers life that a motorcycle driver doesn’t have I call that a win. DOT or Department of Transportation. Is a US government approved standard which is the most popular helmet type in the country for most everyone except for race car drivers. DOT helmets differ from Snell as they are more shock absorbent and designed at protecting your skull from 90% of impact types. The maximum g-force allowed by the DOT test is 250g’s, and an impact of 200-250g’s to your head would cause a survivable, yet harsh brain injury. These helmets also are favorite shock absorbency because of recent studies claiming that absorbing the force of an impact could be more important than resisting it. Motorcycle Helmets do trump Race Car Helmets in visibility as they have at least a 210-degree lateral vision to a race car helmet 180 degrees. As Motorcycle riders crouch, sit upright, look both ways and look back, so needing a bigger visor is important so they can see in all positions. When strapped into a Race car’s racing seat and its harness, you’ll be thrilled to have side view mirrors as you can hardly move your head. You can only turn it a few degrees in any direction, so the extra visor space would be a real waste. To Be Continued On wed of next week…. Next week I will continue this with more please stay tuned. Let AMERiders help you keep your noggin safe with our cool yet safe Motorcycle Helmet Designs. 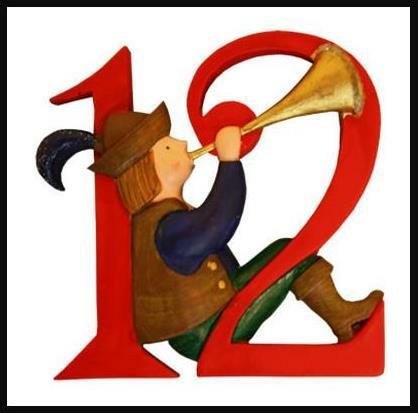 12th Day of Christmas, 12 Days of Christmas Origin & Meaning Continued. On the 10th Day of Christmas, AMERiders brings to you the 12 Days of Christmas and its Origin & Meaning Continued. We continue today with the 9th verse in the song. But before we do we want to thank everyone that shopped with us during our Winter Holiday Event. To remind you the idea for these posts came to us because the boss loves the song and just loves to drive us nuts singing it. Yes, we’ve done the research and we know this starts on the 25th of December, but however you know that we at AMERIders are not normal so we are going to start this the 12 days before Christmas. We apologize if what follows offends anyone it is not our intention just information that we found online. This is also one of the days of verses where things can start to get mixed up depended on the year or origin that the verse is being sung from. More information on this can be found here. The 12 Days of Christmas are now most famous as a song about someone receiving lots of presents from their ‘true love’. However, to get to the song there had to be the days to start with! 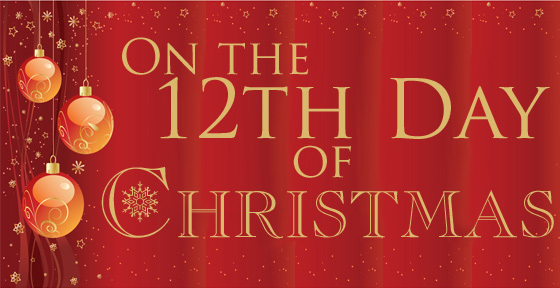 The 12 Days of Christmas start on Christmas Day and last until the evening of the 5th January – also known as Twelfth Night. The 12 Days have been celebrated in Europe since before the middle ages and were a time of celebration. Each of the 12 Days traditionally is celebrated with a feast day for a saint and/or have different celebrations: Day 12 (5th January also known as Epiphany Eve): St. John Neumann who was the first Bishop in American. He lived in the 19th century. We hope you have enjoyed our 12 Days of Christmas informational, and have a great and safe holiday. Let AMERiders help you with your stocking stuffers and gifts for the 10th Day of Christmas. 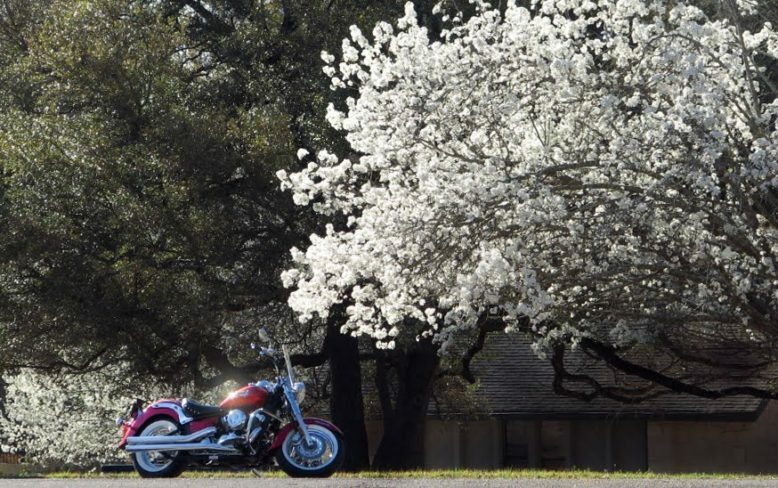 Stay Warm While You Ride with Winter Motorcycle Gear! If any of you are by chance still riding since the cooler weather has hit, let us help you stay warm with our Winter Motorcycle Gear. 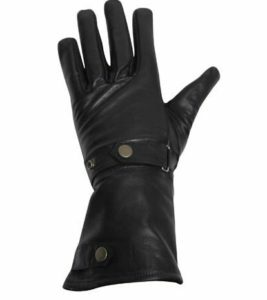 AMERiders has everything to help keep you and your passenger warm from classic leather jackets to gloves and more for everyone. 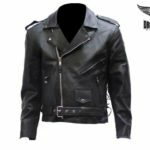 A great way to stay warm while riding is with one of our classic leather jackets for Ladies, Gents or Children in all fashions and styles. Check out these few below or More from our Apparel Section. Stay warm with our Men’s Motorcycle Jacket With Z/O Lining is embossed on the back is the American Eagle clutching a USA shield with your motto on top and beneath. 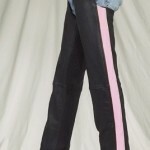 Other features include a full, zip-out lining that runs through the sleeves, epaulets on the shoulders, a fold-down collar with button snaps, and a sturdy, front zip-up closure. 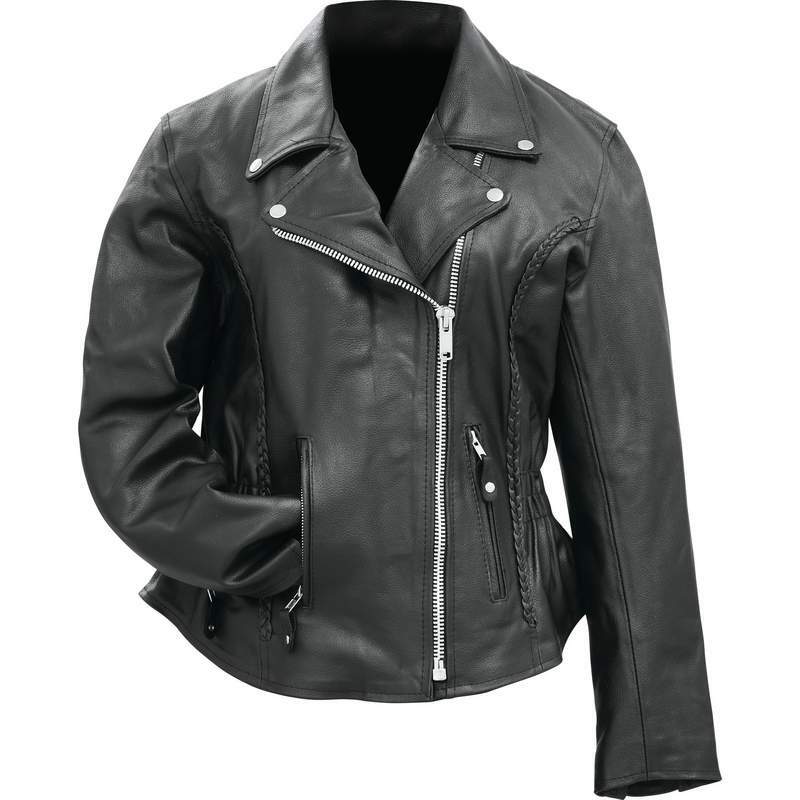 Ladies, can you picture yourself, in our stunning Ladies Solid Buffalo Leather Jacket ? 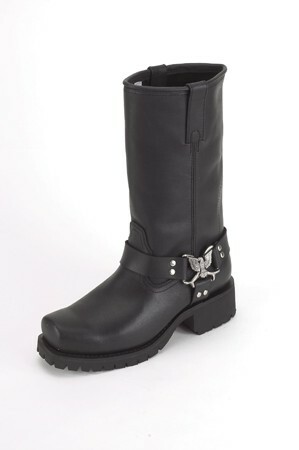 It is solid black and made from genuine buffalo leather. It’s Durable Construction Features two zippered exterior pockets and two interior pockets. 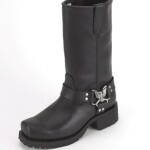 To give you a comfortably snug fit it is gathered at the sides and is fully lined as well. 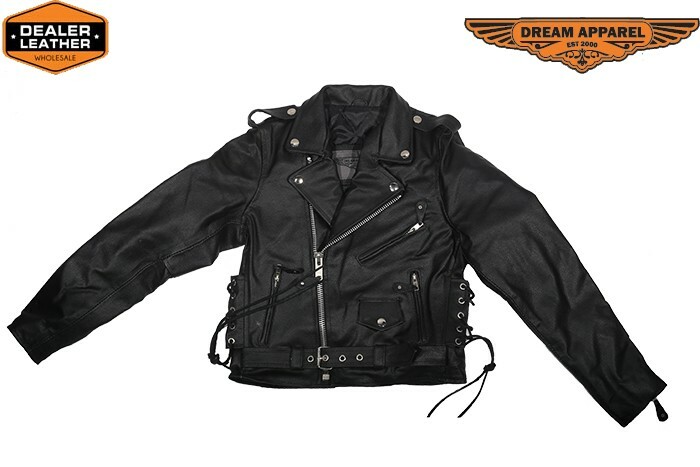 Keep your “mini-you” warm with our Teens Leather Motorcycle Jacket With Snap Down Collar . 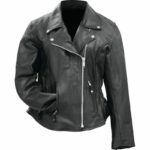 It is a great jacket to start off your teen biker with. This beauty is made from Top Grade Genuine Leather and will make them feel like they are one of the pack. 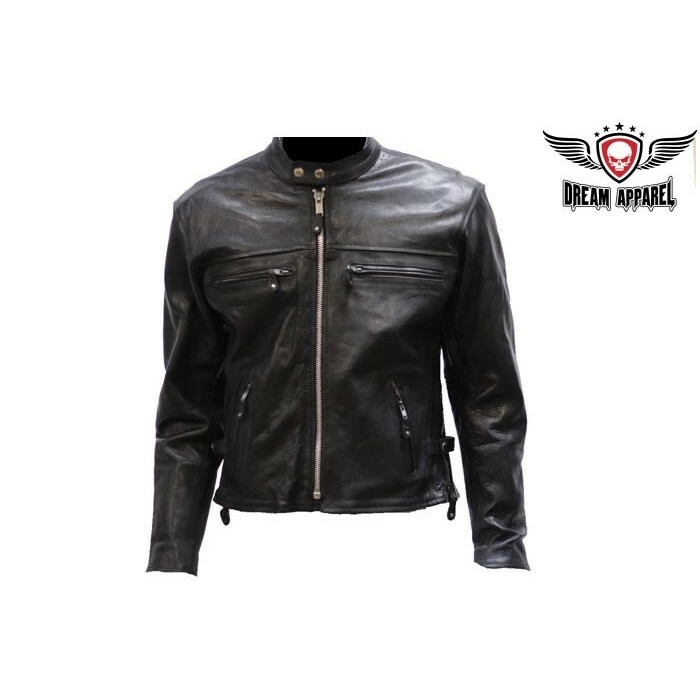 Features of this sweet leather jacket include: Snap collar, half roller belt buckle and side laces for a better fit, multiple pockets, zippered cuffs all for a cool looking jacket. 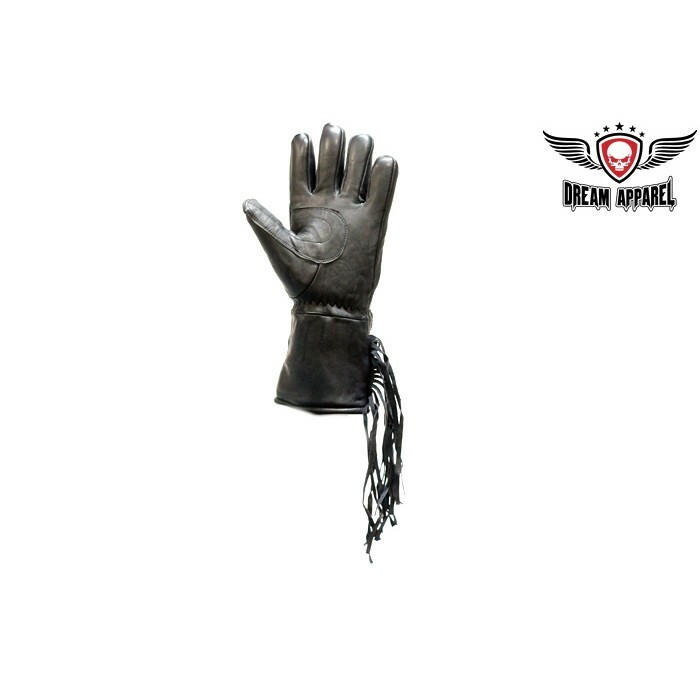 Gloves for Men and Women. 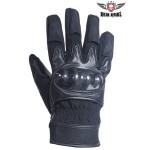 It is very important not only to keep your hands protected while riding but to have your hands warm as well. A great way to do that is to have a great pair of gloves in your Winter Motorcycle Gear wardrobe. 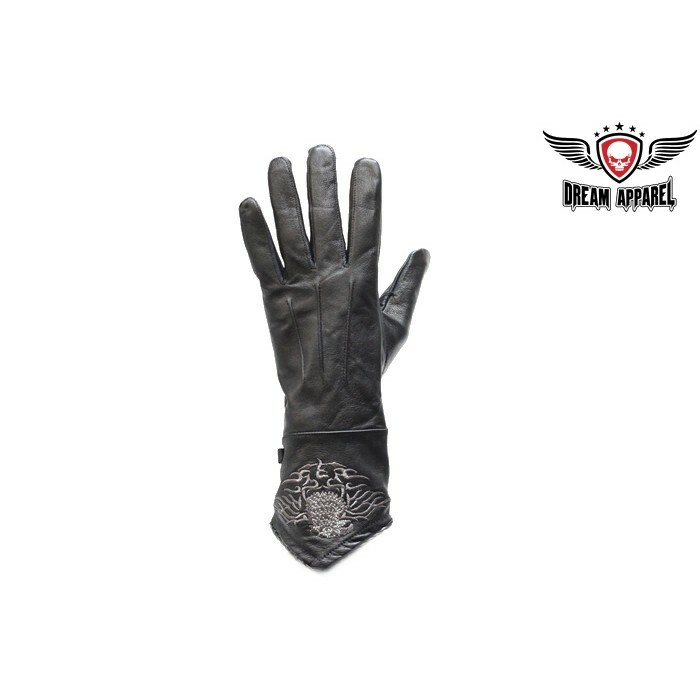 AMERiders has a large selection of Men’s and Women’s gloves that will do just that. We have chosen to show you two of our favorites below. 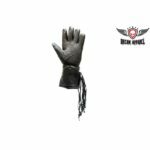 Keep your hands warm with our Gents All Leather Motorcycle Gauntlet Glove is a great glove that is made from genuine leather and is fully lined. 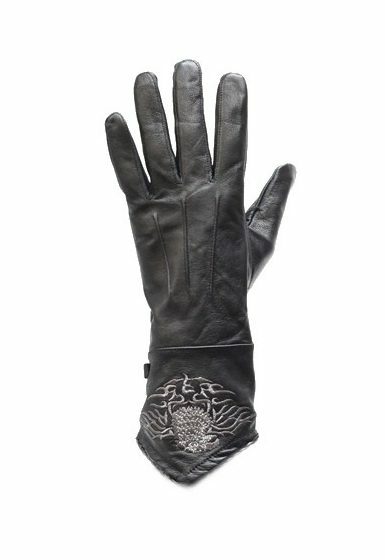 Wear them while riding or anytime that you need warmth for your hands. 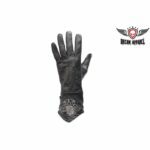 Our Stitched Eagle On Women’s Motorcycle Gloves are made from genuine leather and feature an eagle stitched on the cuff, and are nice and warm as well. A great full face helmet can be great to keep your head and face warm during the winter and we have a large stock of them available in all styles and colors. 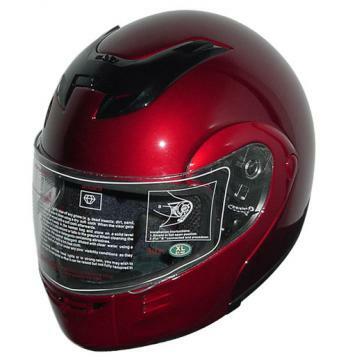 Consequently, this gorgeous Wine colored helmet is not only full face it is also DOT approved and certified as well, but is a great choice. It is a Stylish Convenience The Rodia RF-4 Modular incorporates all the benefits of a full-face helmet with the advantages of an open-face helmet. 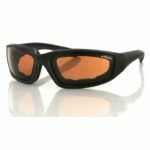 Not only that its lightweight shell design is made from aerodynamic fiberglass and is paired with ABS polycarbonate alloy chin bar. 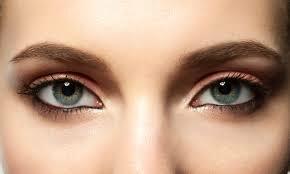 Large eye ports will give you greater visibility. Make a bold statement, and keep your dome warm on the open road with AME Riders’ selection of motorcycle headwear, including stylish and functional options for every biker. Boasting designs that will show off your style and get you noticed in a crowd. Our balaclavas and motorcycle face masks for men and women are not only good for providing warmth in cold weather, they will also add a layer of unique style to your biker apparel. Let AMERiders help you keep warm with our large selection of Winter Motorcycle Gear. It is said that fatigue causes between a fifth and sixth of car accidents. This may not be true for motorcycle riders, but it definitely plays a role for those taking long riding trips. AMERiders offers these tips to Fight Fatigue, as we know that fatigue can be dangerous when not taken seriously. When riding with other people everyone should discuss and have a road plan for resting, as not everyone will have the same rest requirements as everyone else. Each and every member of the group should be willing and able to accommodate the others rest needs. 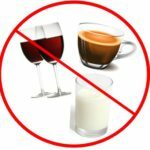 Fight fatigue! For the safety of everyone around you, don’t ride if you are feeling just a tiny bit tired. Before a multi-day ride, it is not always easy to get enough sleep, as you may be thinking of what to pack, or things that need to be done before the trip. Some people also have trouble sleeping while traveling as well which doesn’t help matters much. Early departures can also compound on the sleep problem, so ensuring to sleep a bit later every few days is a good idea. Alcohol as a sleep-aid is not a good idea as it can also reduce your quality and quantity of sleep. You can fall asleep while riding I have seen riders do it. 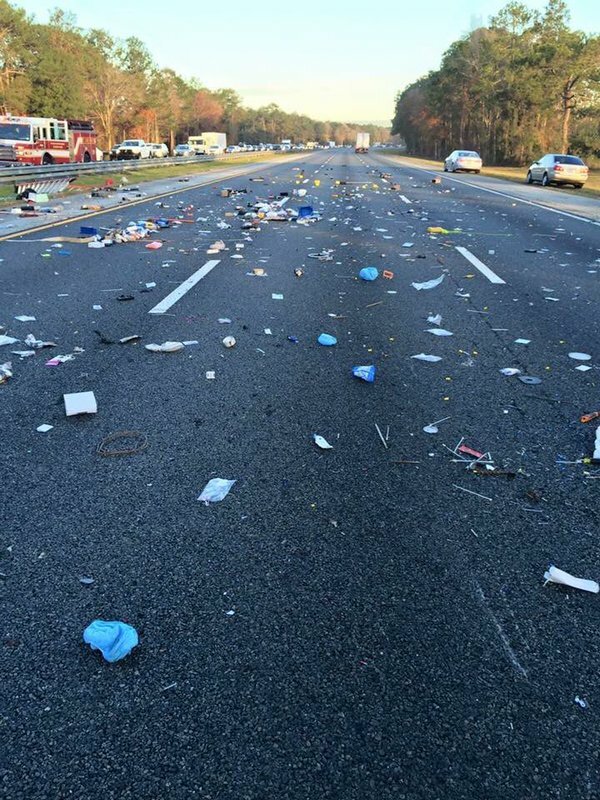 This is not good as you will wake up bouncing down the road , through a ditch, or in the hospital. You may not even realize you are tired. There are “tired times” during every 12-hour cycle these times are usually between 3 and 5 both a.m. and p.m. local time. Planning to arrive before or by that time to stop before and early dinner is a good, just to relax or take the day off to catch up on sleep. 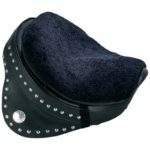 A Gel/Memory Foam Motorcycle Seat Cushion will make your more comfortable so you can ride longer and enjoy the open road. Unless a rider rides every single day or takes a long ride each weekend, they may not be completely adapted to their bike. During a full day or two of riding, you’ll become aware of all the muscles that you use to ride with. Overcoming this discomfort is easy by setting up your bike properly. 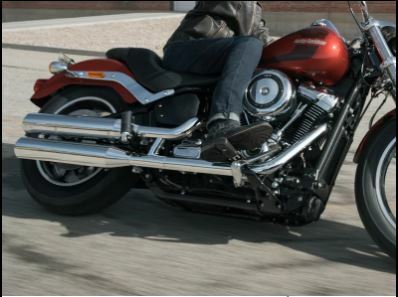 Adjusting your motorcycle to fit you is easy by finding a good saddle that is comfortable for long rides. However, taking breaks in intervals of an hour or two will help you to adjust and fight fatigue as well. With extended exposure to the wind and sun dehydration, fatigue will take much more out of you than your usual 2-hour a weekend ride. Riding in as little clothing as possible and an open face helmet may seem like a good idea. When in fact, you will get tired and feel more worn out. If you wear a mesh jacket and a helmet that protects your face from the wind, perspiration will get a chance to help you cool off. Not only that but you will help to reduce sunburn, as well as wind burn and the effects that come with them. Ensuring that your bike has a windshield will also help. As it will reduce the amount of wind tearing into you, but will still leave enough to help cool you off. 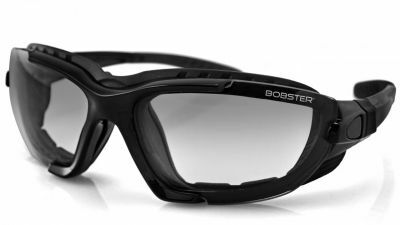 For a motorcyclist clear vision is a must! On a ride vision-clarity can become an issue. Distortion in the top of the windshield or imperfect glasses can cause you to strain your eyes. This will help increase fatigue. If a windshield, face shield or sunglasses create a problem such as eye-strain, headaches or disorientation then ensure the problem is fixed before your trip. 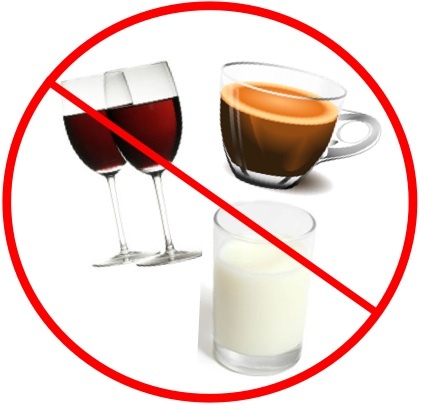 Caffeine and Alcohol can briefly boost your alertness but isn’t a substitute for a good nap. Having a drink of alcohol before or during a ride is a bad idea for many reasons. Especially if you are slightly tired or fatigued. Discourage your riding companions from having one also does both of you a favor when trying to fight fatigue. Diet and exercise also help to fight fatigue, as they increase your energy level. 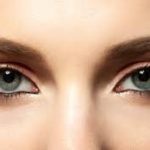 This makes you stronger and more alert. Don’t forget to drink plenty of water while you ride as well, because keeping hydrated is important when being exposed to the elements. Fighting Fatigue helps to provide benefits that go way beyond safety. When you are alert and refreshed your ride is more enjoyable. Also, you’ll get more out of the sights and experiences that you expect to see and enjoy. 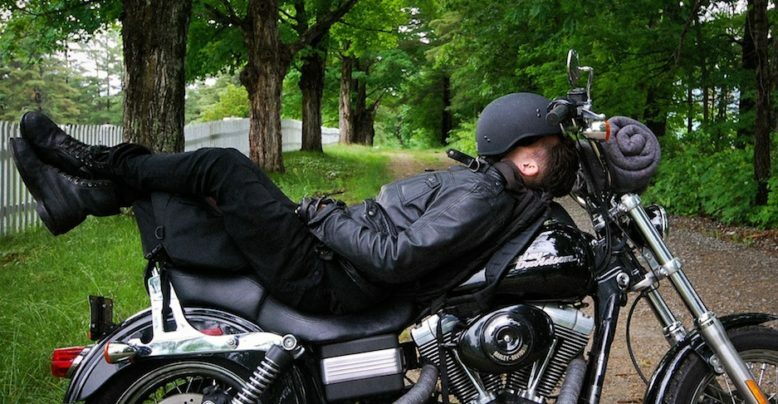 AMERiders knows how important it is to fight fatigue, please get plenty of rest on long rides. We apologize that we posted on Thursday this week, however, there were unforeseen circumstances (net was out) that prevented us from posting on Wed., although we had it ready to post for you. 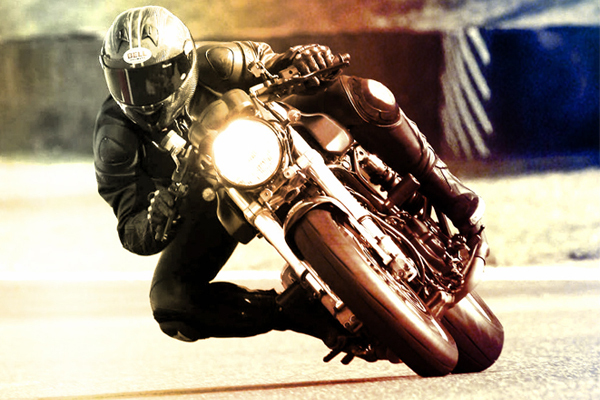 How safe are you on your motorcycle? 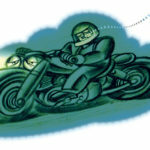 AMERiders knows that safety is very important when riding a motorcycle. Which is why we have put together this list of 10 motorcycle armor pieces for you. 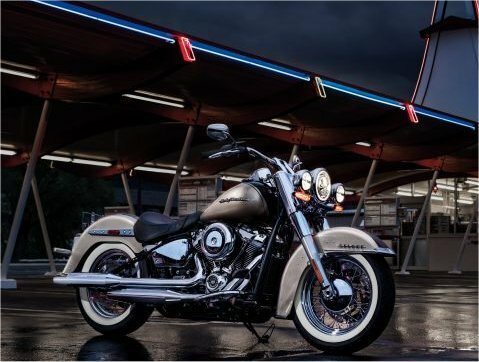 The U.S. National Highway Traffic Safety Administration statics from 2006 show that about 72 of every 100,000 motorcycles were involved in fatal crashes that year. For cars, the number was more than 13 per 100,000. The fact that driving a motorcycle is more dangerous than driving a car is nothing new. 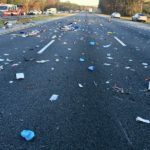 What is noteworthy, however, is that because of increasing strides in technology, motorcycle riders can do something about the dangers they face on the road each and every day. 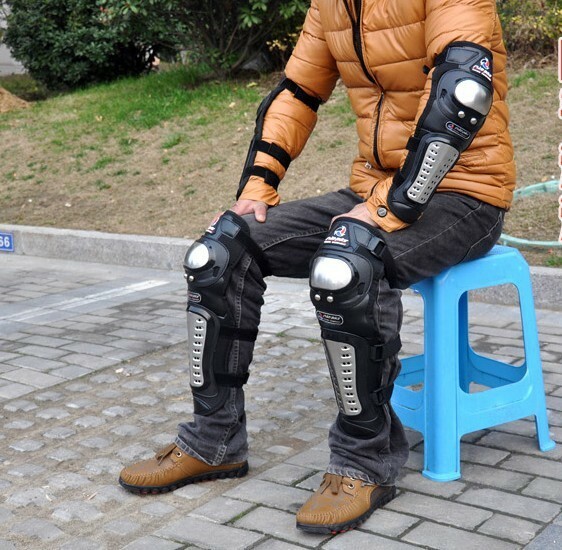 High-tech Motorcycle armor, when worn, can drastically lower the risk of injury and death from a motorcycle crash. Below is our list of 10 armor pieces to wear that can help keep you safe. These pointy bits tend to poke into the pavement when a biker comes off their bike. If you want to keep them, place some armor on them. Or at the very least, ensure your outerwear has reinforced elbow and knee zones. 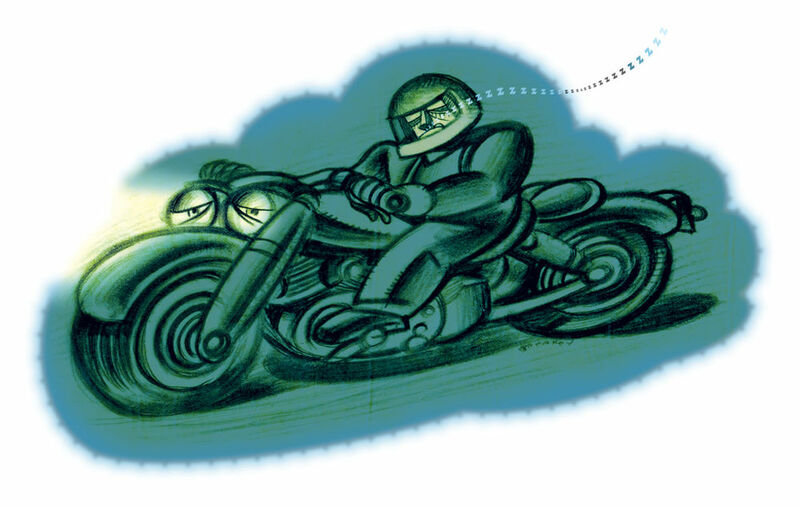 If your leather jacket isn’t at least 1.2 millimeters thick, consider wearing armor over or under it to increase the distance you can skid before whatever surface you are skidding along wears through to your skin. 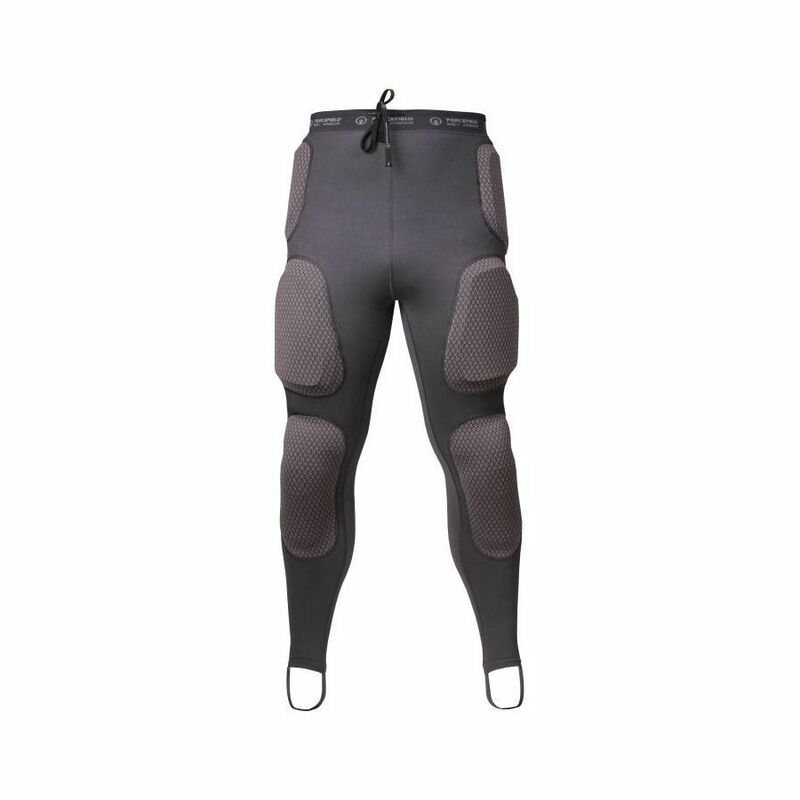 Look for “CE-certified” elbow and knee (and everything else) protectors, which means that when the testing body smacked the front of the armor, the force measured at the back of the armor averaged less than 35 kilonewtons (the standard measure of force). Wearing a chest protector may have you looking like a character from “Star Wars,” but it is helping to keep your vital organs safe. Rather than protecting your chest from bending (like a back or neck protector does), chest armor is built to absorb the force of a blunt impact. 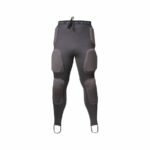 While armor that’s molded into the appearance of chiseled abs might be awesome, what you want is a solid shell that distributes the force of impact across ample underlying padding. 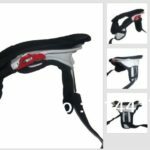 Chest protector tech has a wide range of effectiveness from essentially what is a couch cushion on one end of the spectrum to aluminum composite on the other. Regardless of your budget, ensure your chest protector has 2 things: a hard shell to distribute force and padding to absorb it. Your neck is an important part of the body to protect. 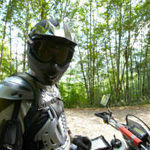 most motorcycle armor for the neck not only protects your collarbone they protect your neck as well. 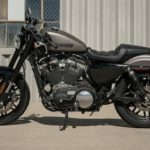 In fact, a collarbone is the most commonly broken bone in motorcycle crashes — when extending your arm to break a fall, the impact force is channeled directly into your clavicle. Turning a shoulder into an onrushing car, tree or street sign can also break the clavicle from direct impact. A neck collar can help you avoid the second — a clavicle break due to direct impact. And this neck/clavicle system is the focus of all sorts of emerging high-tech protection. On the low-tech side of neck/clavicle support is the traditional, neck-roll style collars. These are similar to an ox yoke, and can help pad impact and reduce the neck’s range of motion in a crash. Let’s move on to the exoskeleton, even the simplest crash can break your hand or fingers like they were matchsticks. Finding a pair of gloves to protect your fingers and hands is not difficult, especially if they provide reinforcement to your fragile finger bones. The glove doesn’t have to be bulky as that can keep you from moving your hands and can also cause a crash. 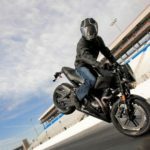 Most of today’s high-tech motorcycle armor gloves combine Kevlar and leather, sometimes with carbon-fiber reinforcements in important areas that tend to be slide points. Tipping even from a full stop — you’re going to want something on your hands. 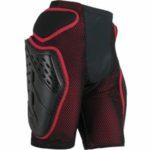 Leg armor can protect from road rash, and other serious injuries as well. 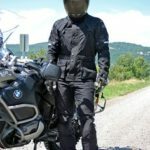 A couple must-haves in your lower-body motorcycle armor. 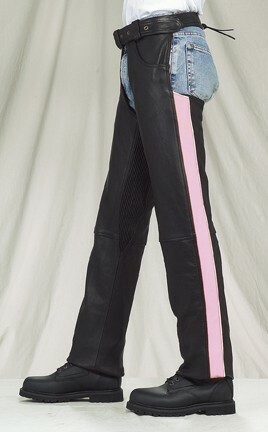 First, ensure it is made of a material that protects against road rash (duh). Thick leather and Kevlar are veery good. And, like the chest protector your lower-body armor should be made of a shell to distribute force and the padding to absorb it. While high-tech plastic boots provide the best protection in Motorcycle Armor for footwear leather boots still provide good protection. In jackets and pants, the debate rages as to whether Kevlar trumps leather. This is also true of whether you should reinforce bones with steel alloy inserts, or whether you should just pad them and allow your flapping limbs to absorb the shock.Big, bad plastic trumps leather where boots are concerned. Racing boots vs street boots — high-speed racing boots almost always include plastic or composite shells for sliding across a surface and a more comfortable liner for your feet.Your boots do not have to be supple and flexible all the way around. 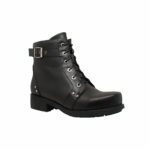 They just need to take a licking and keep your feet and ankles protected. Look to high-tech composites and plastic. However, while high-tech plastic boots may come out on top, it stands to reason that classic leather boots can still provide good protection. Hips are second only to collarbone fractures and broken pelvises in injury statistics. 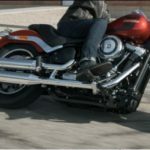 This question has been posed by some in the motorcycle community “Do I really need hip protection?” which is answered with the response, “You only need to protect the pieces you want to keep.” That is especially true with your hips. They are second only to collarbone fractures and broken pelvises in injury statistics. This is partly because of hard hits to anywhere in your lower body channel themselves into your pelvis, and partly because a rider tends to bounce and slide on the parts that usually sit in the saddle. 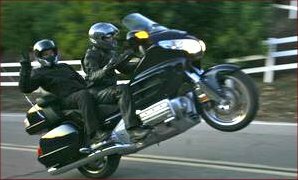 Any online video you watch of a sliding motorcyclist and you’ll see that in far more than half, the rider ends up skidding on his or her rump. Something else to note is that road rash that eats through jeans as if they were paper. So armor up your hips! Either make sure your riding pants that include hip padding or layer up your own padding with hip-specific inserts. 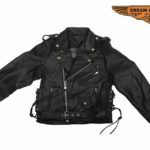 Every motorcyclist is going to own a jacket, and it will have varying degrees of Motorcycle armor in it. This is a no-brainer! 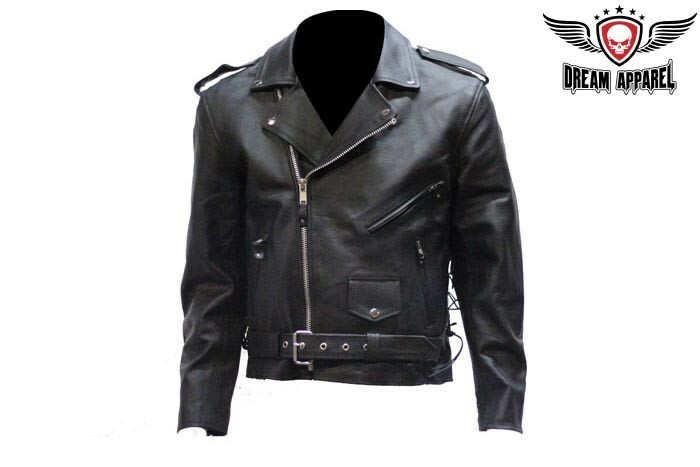 Every motorcyclist has their very own jacket whether it be made of leather or another material they have one. They will also come in varying degrees armored, simple denim, leather (thick or thin) and with or without carbon-fibre supports or molecular armor. What’s Molecular armor? A mix of hard armor (like a plastic shell) and soft armor (like memory foam) that is flexible and soft like a liquid until smacked with pressure as in a crash, at which point they turn rigid. It’s like that cool trick with cornstarch and water: Push it gently and it’s a goopy liquid; smack it and it’s suddenly so solid that it rebounds your hand. If you don’t believe us try it yourself. It makes for great armor in a jacket. 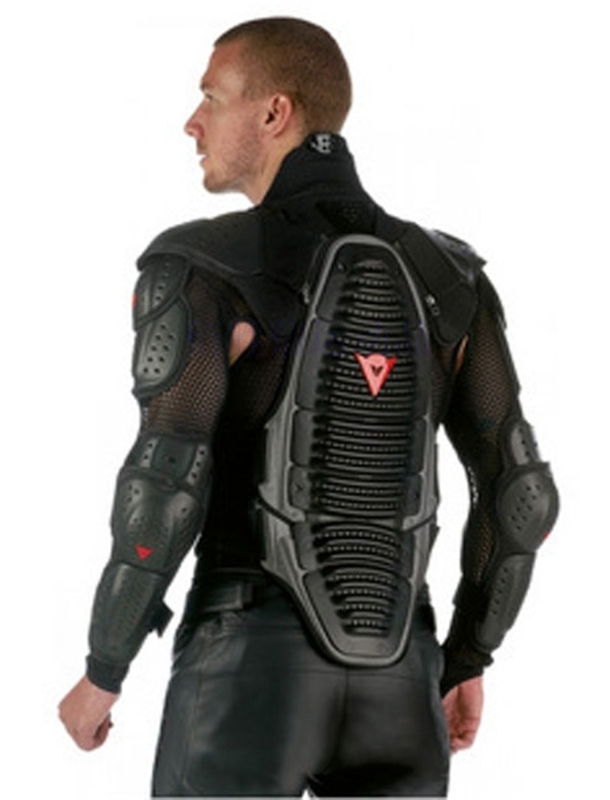 Back armor can help to prevent serious injury to your spinal cord. Arms, legs, hips, collarbones, wrists, fingers and the myriad other bones that make up your skeleton will heal. But your spinal cord is not as resilient as they are. And until technology advances to repair a ripped spinal cord, you want to protect your spinal cord. 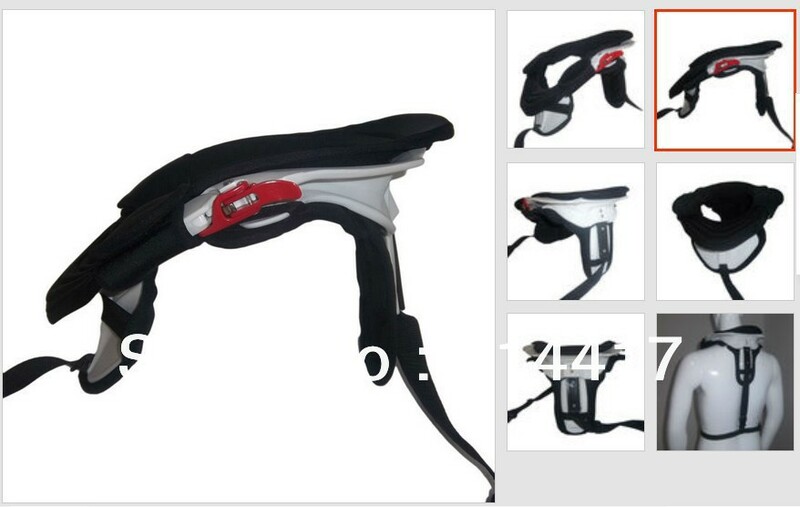 Start with a neck protector, then consider additional armor to beef up the rigidity of your back. The key word here is rigid. Don’t mess around with soft armor — go for the hard stuff. 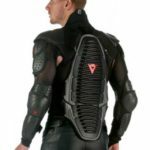 Back armor can be a strap-on backpack, or it can be built directly into a jacket. Your helmet is your most important piece of motorcycle armor. When a helmet is worn it reduces the risk of death in a crash by 37 percent. Riders with serious head injuries paid an average of $43,214 for hospital care, compared to $15,528 for riders with minor head injuries. As helmet laws were repealed, motorcycle deaths jumped from 2,897 in 2000 to 5,154 in 2007, a 78 percent increase. 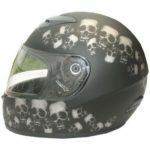 Your helmet is your most important piece of motorcycle armor by far as it will protect your head from serious injury. Check out our article on why helmets are important here. 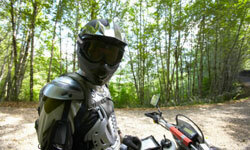 We at AMERiders are serious about safety so ensure your gear includes Motorcycle armor.